For over 100 years Readco Kurimoto, LLC has been at the forefront of industrial mixing technology supplying continuous mixers to the food, chemical, and pharmaceutical industries for the continuous production of products. 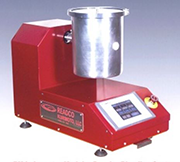 In addition, Readco manufactures dry powder blending equipment used in the cosmetic, pigment, food, and pharmaceutical industries and evaporators and drying equipment. The Readco Continuous Processor is a twin shaft, co-rotating mixer, designed to mix one or more dry materials with one or more liquid materials on a continuous basis, producing a homogeneous product at the discharge end of the unit. The SC Processor is designed to continuously process a wide range of materials by significantly reducing the moisture content of the material and transforming it into a dry powder or high viscosity slurry. 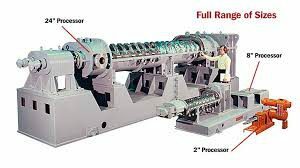 The SC Processor accomplishes this with twin hollow screw shafts which counter-rotate while circulating heating or cooling medium. Additionally, the barrel jacket temperature can be controlled separately. 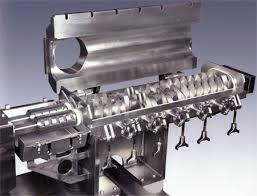 The combination results in a continuous, stable and efficient heat transfer source. The Readco Containerized batch mixer is a revolutionary dry powder blending and processing system that can reduce batch mixing cycle times by 50% or more! This unique tumble blender is also equipped with a high-speed impeller for blending and fine dispersions. This system enables you to charge, blend and discharge in one continuous cycle in batch sizes from 1 quart to 150 cubic feet. In addition, the modular design incorporates removable stainless-steel vessels in a variety of sizes to meet every processing scheme. The Readco Containerized Batch Blender gives today’s dry powder manufacturer complete flexibility. The only way to prove a concept is to actually run product through one of the units using your materials and formulations. Readco’s fully equipped test laboratory in York, PA includes Continuous Processors, SC Processor, pumps, feeders, temperature control equipment, and a thin-film evaporator. By adjusting the numerous variables, Readco lab technicians work with you to achieve desired results. Typically, in one to three days of testing, feasibility can be proven, and the machine can be configured to suit your specific product and mixing needs.